The Academy of Motion Picture Arts and Sciences (AMPAS), the host of the Academy Awards, or the Oscar, would recruit new members each year. In this year's "new recruit” list, two men from the city of Hangzhou aroused high concern. On June 26th Beijing time, AMPAS announced that Liu Jian, vice-president and associate professor of the School of Film and Animation under China Academy of Art; and Du Haibin, an associate professor from the same school, were selected into the judging panel of the Academy Awards. Since 2018, they will be eligible for voting Oscar-winning films. Over the past year, Liu Jian's work has revolved around Have a Nice Day. 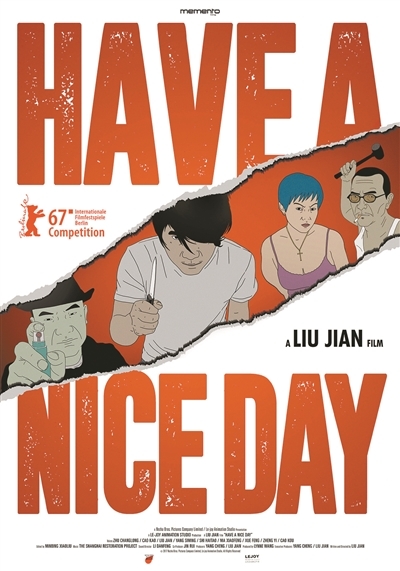 Have a Nice Day was selected into the 67th Berlin International Film Festival for the main competition. It was the first time for a Chinese animation feature to edge into the main competition unit for “Cannes, Berlin and Venice”, the three major international film festivals. It was also the second Asian animated film, after Miyazaki Hayao’s Spirited Away, to enter the Berlin International Film Festival for main competition in the new century, a new historical record for Chinese animated films. On January 26th, Have a Nice Day, the best animated feature film for Golden Horse Award, was officially released in the U.S. film market. Having been showed in cinemas of 30 American cities, it roused the overwhelming public response. It was rated as high as 92% for a period in Rotten Tomatoes, the leading US film critic. This also attracted the attention of the Oscar organizers. AMPAS first found Liu Jian by sending him an email for confirmation. However, he did not open it. Later, a friend of Liu Jian sent him a message for congratulation, and he realized it was the email of selection notice. Soon afterwards, Becky Bristow, an Oscar judge responsible for the selection of judge candidates on Chinese animated films, and director of animated films in the United States, found Liu Jian and asked whether he was willing to join the Academy Awards panel. After rounds of communication, Liu Jian was officially accredited to the Academy Awards panel. “It is significant for me to be elected a member of the Oscar jury. It means I am recognized in the film creation,” said Liu Jian. “This year, the Oscar panel has embraced judges from different countries, and the judges become more diverse in identities. I am honored to be part of the Oscar's review and I will do my best to be a messenger between Asian films and the international film stages." 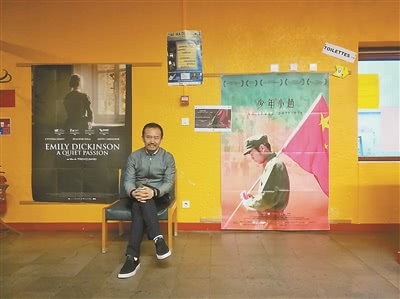 Du Haibin, a famous documentary director, and associate professor of the School of Film and Animation under China Academy of Art, has been dedicated to the creation of excellent documentaries. Since 1998, Du Haibin has been making documentaries, because he is fond of the documentary style of the film. Dedicated to shooting documentaries for 20 years, he was touched by some moments or events in each action. Some were recorded truthfully in the films to share with audience, while others were not recorded for some reasons but would stay in his mind forever. 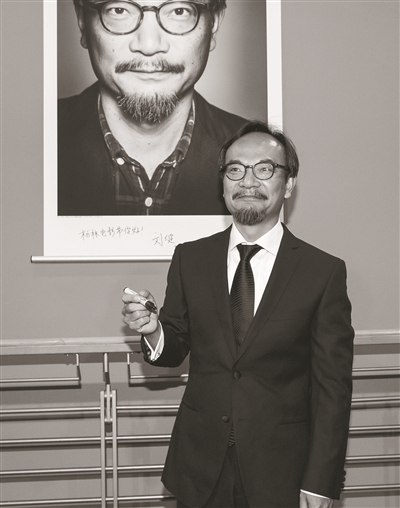 Over the past decade, because of exchanges in the film circles at home and abroad, as well as showcasing documentary films at the international film festivals, many Oscar judges have become "old friends" of Du Haibin. 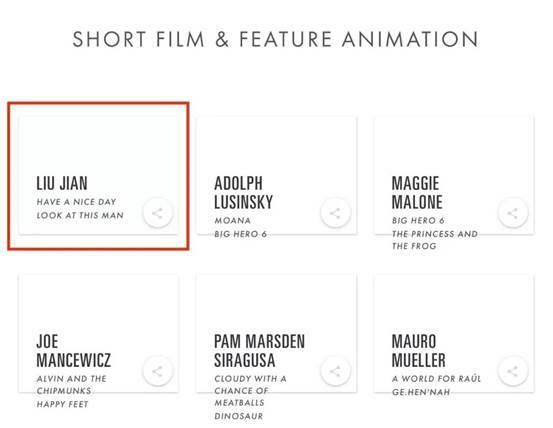 This year, Du Haibin was recommended, on behalf of Chinese filmmakers, to participate in the selection of judges for the Academy Awards documentaries. 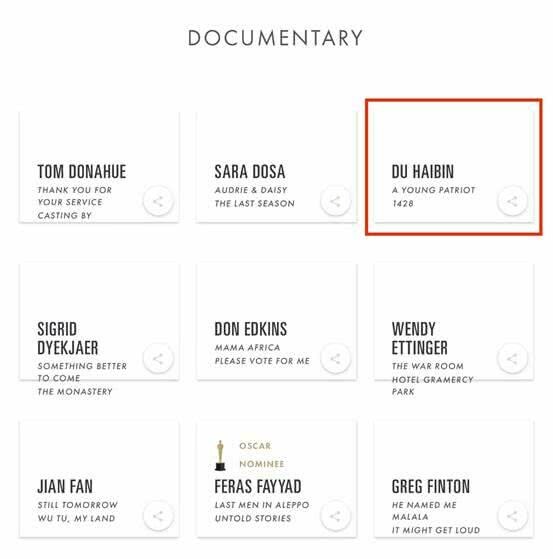 Approved by the Oscar organizers, Du Haibin will join the documentary department of AMPAS as a film selection member for the Oscar documentary awards, and have the right to vote for winners of all projects. He has thus become one of the few Chinese to influence the trend of documentaries in the world. When he was informed that he was elected as a judge of Oscar documentaries, Du Hailey felt it was an applause for his previous work. He also felt his heavier responsibility. To vote responsibly, he had to free up a lot of time to watch movies. And the large number of excellent documentaries and feature films also brought a lot of inspirations and new ideas to his future creation. The city of Hangzhou has nurtured a lot of talents and stimulated their desire for creation. In the future, Du Haibin also plans to make a documentary about Hangzhou, to keep a true record of the city's people and their stories. Du Haibin said that “Hangzhou has always impressed me as a city attaching importance to film and television culture. I believe that after years of hard work and accumulation, Hangzhou will certainly become a major producer of films and television works in the world."